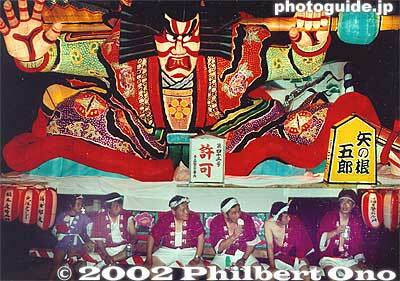 Nebuta are giant, wire-frame, paper lanterns shaped in various legendary and macho characters. The Aomori Nebuta Matsuri is held in Aomori City in Aomori Prefecture during Aug. 2-7. Nebuta are giant, wire-frame, paper lanterns shaped in various legendary and macho characters such as samurai warriors, demons, and gods. They are fantastic works of art dramatically illuminated from the inside. The floats are paraded along the main streets of the city near Aomori Station every night of the festival.